From time to time Fortnite has had issues with players getting shots off using bugs and glitches, but the Lazy Lagoon glitch is one of the most easily abused glitches ever. Just today, players also found that they were able to shoot through user-built cones. That glitch works by having a heavily damaged cone and then just shooting through one of the gaps which instead of breaking the cone, connects with a player outside. At least with that glitch, you can see your opponent and be prepared to build or take a different angle. With the Lazy Lagoon glitch the player is entirely hidden in the lower deck. They run up the stairs leading to the bow of the boat and turn around. Suddenly they can see the whole upper deck and are able to move their weapon with a lot of range. As you can see, that glitch is extremely powerful and also easy to use. Other people in the Reddit comments said they have found a lot of success abusing the glitch. Read More: Which Fortnite location has the most chests in Season 8? 2. 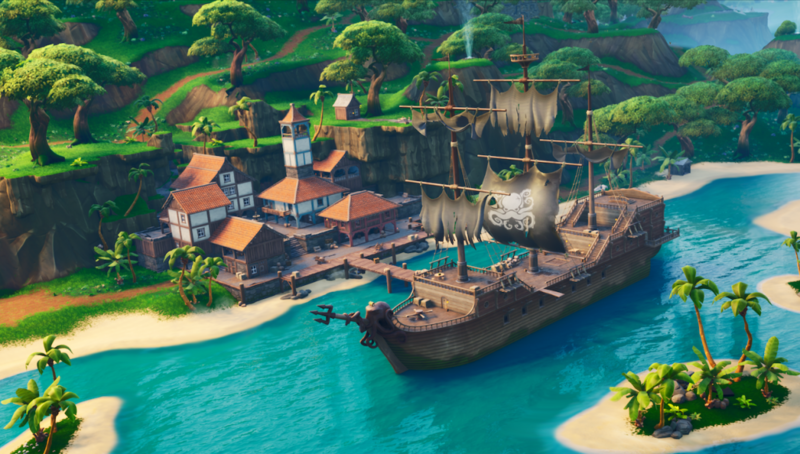 The glitch is already known and we want people to be aware of it so they can avoid Lagoon in the early game or the deck of the ship in the late game.